Video you will REALLY use! Most camera systems on the market record video...but when it comes to playing back the video they really fall short. Our AVM system provides instant, visual access to your video so that you can find everything that happened today, this week or this month without knowing what time something happened. 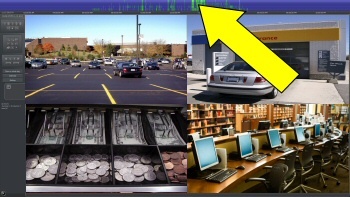 Simply hover your mouse above the screen and slide back and forth to visually watch for a person, vehicle or event. With this access to your video, you will be able to find out what happened easily and will start using your video for more than just break-ins and vandalisms. 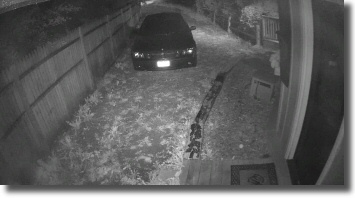 Our customers even use their cameras to find their lost keys - It is really that easy to playback! This HD IP camera system comes complete with our AVM software, providing you with industry-leading remote access to your cameras from anywhere in the world. 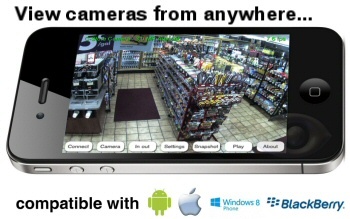 With this software, we have been watching security cameras on our phones since the days of the flip phone (for real). Our developers have continued to pioneer remote access as technology for phones has progressed, providing apps for each of the major phones including iPhone, Android, BlackBerry, Windows Phones, Symbian and more. 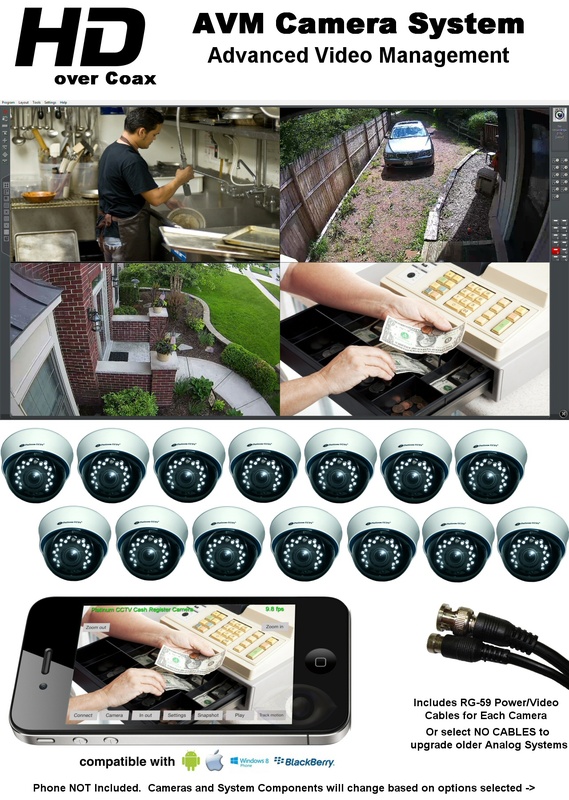 Each of these clients allow access to live video, playback and even alarm system access, as well as the ability to zoom in on the high quality HD cameras included in this package with an easy pinch to zoom! This HD camera system is a great choice for home and business security camera installations, due to the fact that it provides crisp, clear HD video on all cameras. 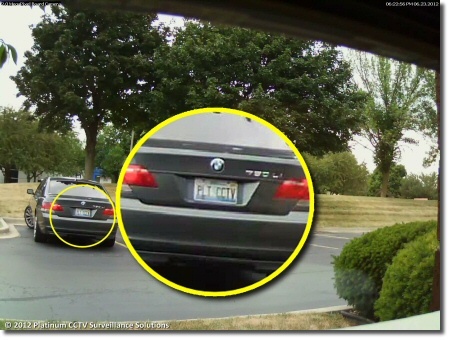 All of the camera options for this package provide a 1080P HD Video quality, which means each camera delivers from 10 times the resolution of traditional analog CCTV cameras, which means that you will get better recognition of peoples faces, vehicles or even license plates. With HD video, you can really take your security to the next level, gone are the days of grainy video. These cameras are the gold-standard in indoor security. Providing a 1080P 30fps video feed over the included coaxial cameras during the daytime and at night, these cameras are great for any home or business indoor environment. The 2.1 MegaPixel image sensor built-in to these cameras provides crisp, clear video quality that is 10 times the resolution of traditional CCTV cameras. Mount this camera on a ceiling, wall or in-between with built-in 3-axis adjustment you will still be able to get the picture straight up and down. Infrared night vision provides pitch-black viewing up to 65' away, and adjustable varifocal lens means that you can adjust between a wide 100° field of view and a zoom 30° field of view for best picture no matter where the camera is being mounted. These versatile cameras allow you to mount your 1080P HD-SDI cameras inside or outside. This compact bullet housing shouldn't fool you though, it provides great quality video with a wide 90° field of view and night vision up to 65' away even in pitch black conditions. 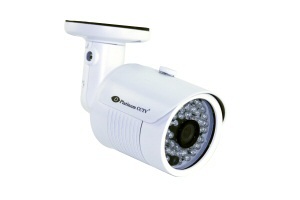 Now you can see all around your home or business with this weatherproof housing HD over coax camera. 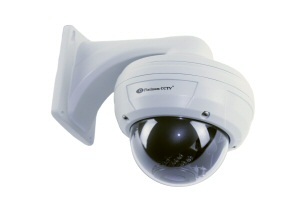 For serious security installations, the HDS-6264 model HD-SDI camera is a great choice. This camera provides 1080P color video during the day and black and white Infrared night vision at night up to 100' away in complete darkness. 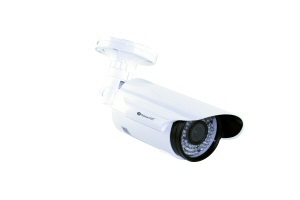 This dome camera comes with a wall mount bracket for easy ceiling or wall mount applications. Varifocal adjustable 2.8~12mm lens allows you to adjust the camera during installation to have anywhere between a 30° and 100° width of view for optimum video coverage. This model is our Creme of the crop, providing 1080P 30FPS video with its built-in Sony® CCD image sensor and adjustable 2.8~12mm lens. The lens is externally adjustable for easy installation and it comes with detachable wall mount plate, allowing for even easier installation. Once the lights go out, this camera really shines...literally, with its IR LEDs illuminating up to 150' Maximum distance, providing you with the ability to see clearly even in complete darkness. 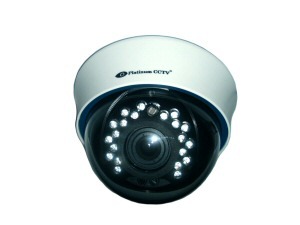 Choose this camera for the ultimate in home and business security. 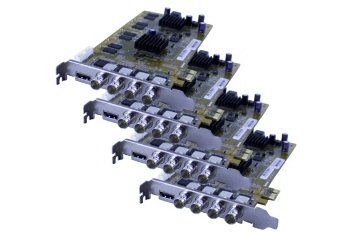 When this option is selected, your system will come with four 4-Channel HDVR PCIe card. These cards install into PCIe expansions slot of your Windows 7 or 8.1 PC to turn your PC into a powerful, remote viewable HD DVR. 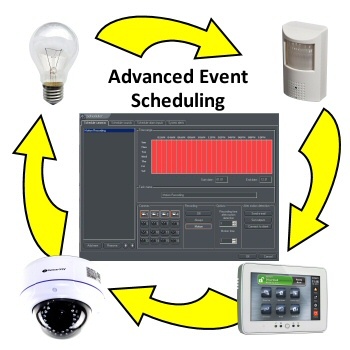 This system comes with the AVM software that is designed to operate with the HDVR cards that are included. This software installs onto your PC to interface with the cards to allow you to record from your HD-SDI (HD over Coax) cameras (also included in this system). Simply plug the included cables into the back of the HDVR card, connect your cameras to power, and you will be ready to begin recording and remotely viewing your security cameras. 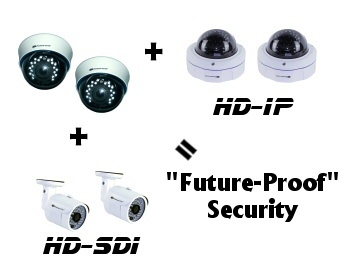 For those who want an even easier installation, our HDVR is a great choice. With this option selected, we hand-assemble a HDVR PC and install the HDVR PCIe cards for you. All of the software is then loaded onto the DVR and prepared for you. 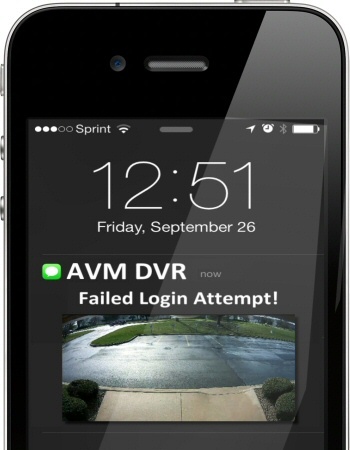 All you need to do is follow the simple instructions to plug in the DVR and cameras, and your system will instantly start recording. Several hard drive size options are available with this package to allow for the ability to record for longer lengths. Each HDVR comes with an HDMI port, so that you can plug this unit into any standard TV or monitor to begin watching your cameras.